After burying Dale, the group starts preparing for the winter. Hershel welcomes the group into the house and everyone starts settling in. 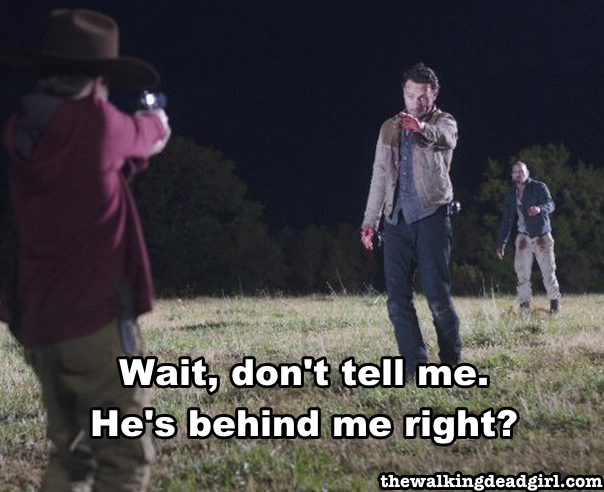 Rick wants to continue with the plan of releasing Randall into the wild but Shane has different plans. This episode finishes with a climactic scene and a cliffhanger for the next episode. That awkward moment when the person you were just talking about is behind you.